HML Project Management was established in Estonia in 2011, and has become one of the fastest growing Project Management Consultancy Groups in the Baltics, with 15 staff in 8 European countries, 7 different languages and 6 different nationalities, it’s a dream and vision of the founders; Leo and Hanna O’Neill’s that became a reality. With a lot of hard work and perseverance, HML Project Management has grown and developed into a full service consultancy offering Project Management, Project Programming, Design, Procurement, Contract/Construction Management & Move Management. A full certified Technical Services division, specialising in Quality Management & Inspections, Technical Due Diligence, Building Decommissioning. Cost Management, Feasibility Cost Studies, Cost Planning, Procurement and Contract Advice, Value Engineering Management, Whole Life Costing, Estimating, Bills of Quantities & Quantity Surveying. (Royal Institute of Chartered Surveyors Accredited). A select Owner Supervision and Quality Management team, who focus on Supervision, Managing Profitability, Delegation, Supply Management, Project Management, Estimating, Attention to Detail and the highest focus on customer service. In house Architects, managing concepts from Early Stage Designs to Full Production Drawings. 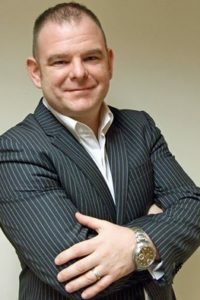 Leo O’Neill has been CEO of HML Project Management since 2011. He has acquired over 20 years of broad range experience in the Construction Industry in Ireland, UK and U.A.E, working for Professional firms FESP, Waters Construction, British Transport Police and the Home Office. Project experience ranges from Public Sector, Civil, Commercial, Residential, Datacenters, Pharmaceutical and mixed use development. Projects providing all aspects expected from Cost Management & Project Management with values ranging from €50k to 1 Billion Euro. Leo has been associated with CBRE for a number of years and together under their framework agreement provided full Project Management services for CBRE across 8 regions.